We are so proud of our boss! Dr. Phillip Durden has been selected by Project-Safe of Athens to compete in the local fundraiser, Dancing with the Athens Stars with Natalie Cox as his partner. Each year, this event is a major fundraiser for Project-Safe, an Athens-based non-profit organization that assists victims of domestic violence with safe shelter and support needs. The main event occurs on April 21st, and there will be rehearsals, yard sales and fundraising efforts beforehand. Votes are submitted by donation, please visit the Project-Safe web site and VOTE TEAM 4! Link below, scroll down and click on TEAM 4. We will also be accepting in-office donations. At Winterville Dental, summer is the season of smiles! Stop by to check out our new decor and our beautiful office – we love it! Dr. Durden and Team are excited to make your visits even more comfortable with our warm, inviting decor in our Athens area dental office. The 2015 Georgia Mission of Mercy was held in Perry, Georgia this summer. 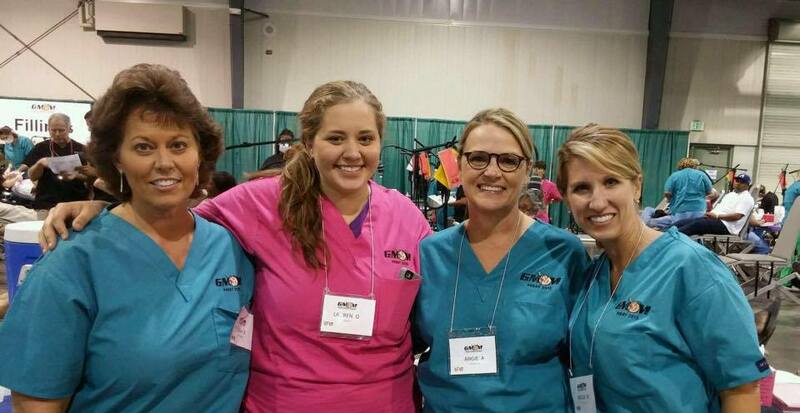 Known as ‘GMOM’, this event is organized by hundreds of Georgia dentists and their team members. 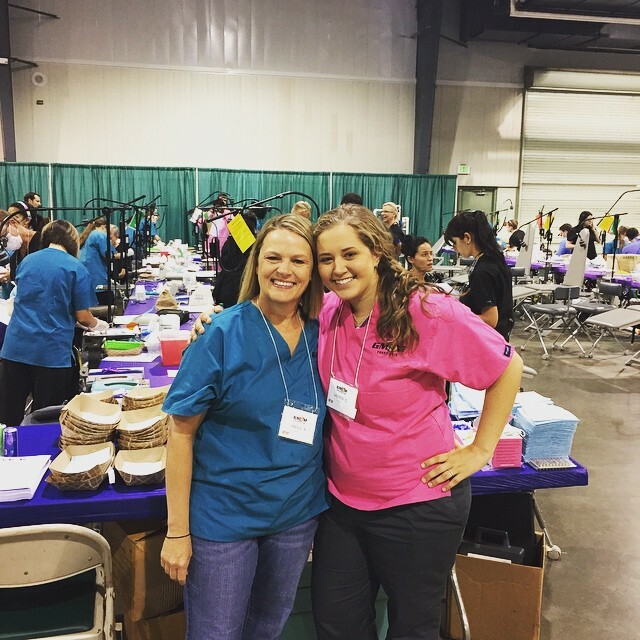 Winterville Dental Team members proudly represented our practice at this charity event in which thousands of adult patients in need were provided with free dental care. Please join the Winterville Dental Team in celebration of Dr. Durden’s appointment for his second term as President of the Georgia Academy of General Dentistry. We are so proud of his accomplishment! The GAGD serves its membership by providing quality continuing education to general dentists throughout the State of Georgia. Dr. Durden will continue his efforts to help this highly respected organization continue to grow and support Georgia dentists. Athens area dentist Dr. Phillip Durden is now offering OsteoReady™ dental implants. Research indicates that 69% of 35 to 44 year old adults have lost at least one permanent tooth to decay, trauma, periodontal (gum) disease or a failed root canal. And, by the age of 74, nearly 26% of adults have lost all of their permanent teeth. OsteoReady dental implants are designed to be placed using a minimally-invasive technique that can usually be completed in less appointments, resulting in reduced healing times. Dental implants can be used to secure a dental crown, fixed bridge, or to stabilize a loose denture. If you are interested in learning about the benefits of dental implant care, please don’t hesitate to call the Winterville Dental team, 706.742.7000. Our privately-owned dental office is conveniently located 7 minutes east of Athens.